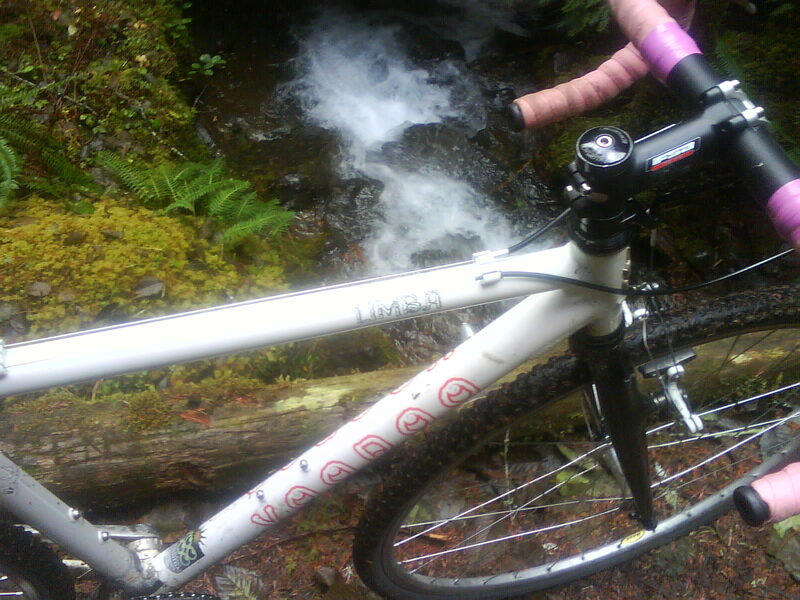 My little Voodoo Limba cyclocross bike had spent its entire life going ‘round in circles, playing in grassy yards and sandboxes at one elementary school or neighborhood park after another in Seattle; it was high time to take it to the mountains and set it free. It needed to experience something called singletrack (not to mention elevation). Thanksgiving weekend seemed like the perfect occasion, and Lower Big Quilcene Trail seemed like the ideal place. Holiday plans with friends took me across the Puget Sound last Thursday on a Bainbridge Island ferry, followed by an easy drive out to a cabin on the Hood Canal. 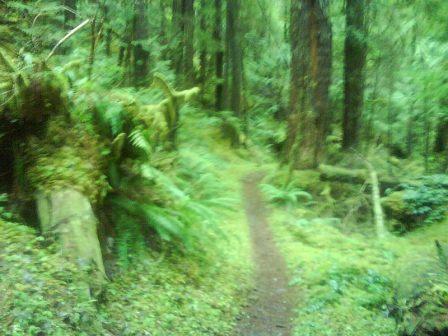 As an interlude to all the feasting and festivities that ensued over the course of several days, I introduced my ‘cross bike to the primeval forest on the Olympic Peninsula. Here’s where to take your ‘cross bike, hardtail or singlespeed when your bike begs you for a vacation. The Ride: Starting at a mere1,4oo feet along an old roadbed, the well-groomed, compact dirt path soon narrows to singletrack. 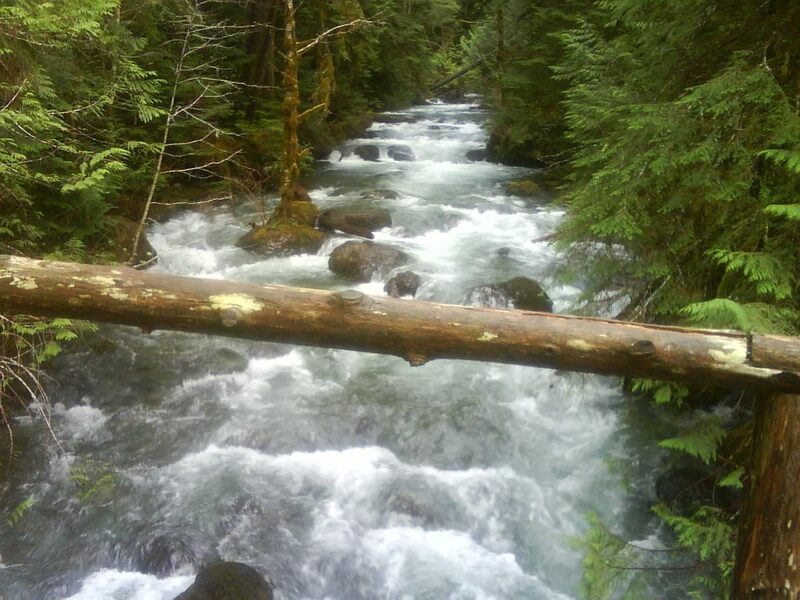 It rolls and meanders through conifer forest, following and frequently crossing the Big Quilcene River and the numerous little streams that feed into it. The river provides a lovely selection from nature’s soundtrack during the whole length of the ride. The well-draining trail is mainly smooth, held together with small stones, and it only becomes rocky and crumbly as you near the stream crossings. 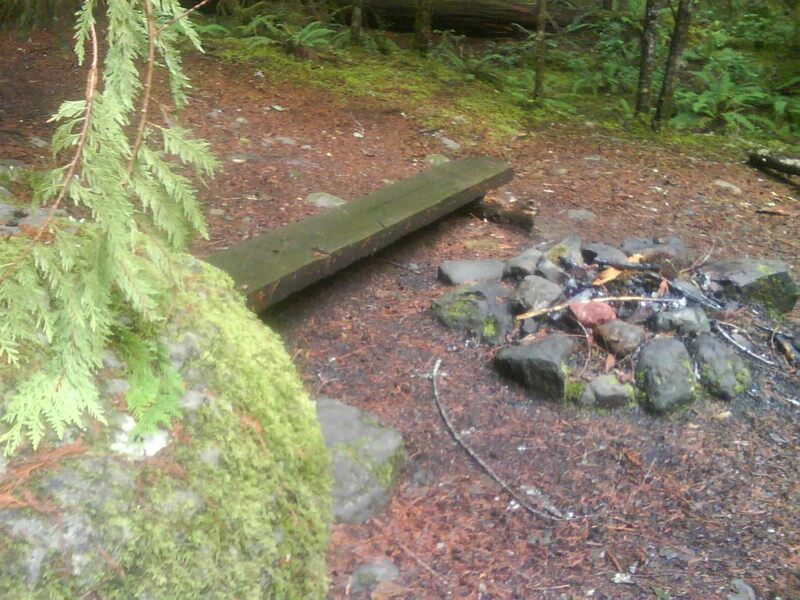 Two and a half miles into the ride, riders and hikers will pass by “Bark Shanty” camp beside the rushing river. Pick up the trail beyond the campsite and you’re soon riding beside the river again. All along the way, expect to confront the occasional fallen log, too high to bunny hop but perfect for practicing cyclocross dismounts and hurdles. During the ride, enjoy some of the scenic reminders of who it is that often wins in the Man vs. Nature conflict. The trail ends at FR-2750, but a mass of blow-downs currently creates an impasse with one mile to go: time to turn around. On my ride back, I found it easy to pick up speed over the now-familiar terrain—and somewhat startling to remember that ‘cross bikes have cantilever brakes… and that cantilever brakes are not, after all, great stopping devices for riding down mountain trails. At one point I had to bail from the bike before I almost rode—in slow-motion, with brakes locked—straight into a five-foot wide, three-foot deep hole that was left behind when an uprooted, blown-down tree took all the dirt in the path with it. Thank goodness cyclocross riders are trained to bail. Laughing, I swung the bike onto my shoulder and footed it across to the other side. It was smooth riding the rest of the way back. Directions: From Seattle, take the Bainbridge Island ferry to WA-305 N for 13+ miles, and then turn right to merge onto WA-3 N toward the Olympic Peninsula. Turn left at the Hood Canal Bridge/WA-104 W, and follow this for 11+ miles toward Quilcene. Turn right at the junction of US-101 and take this south to Quilcene. 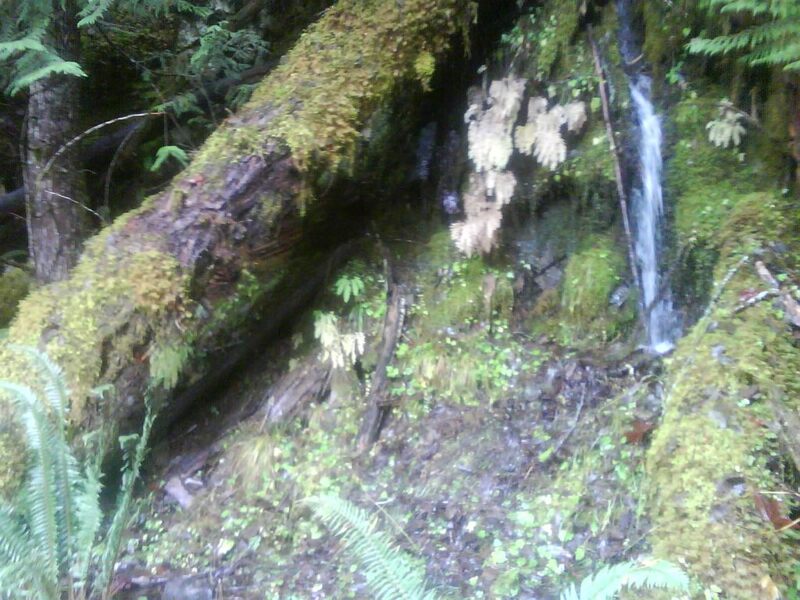 Drive one mile south of Quilcene on 101 to Penny Creek Road on the right. 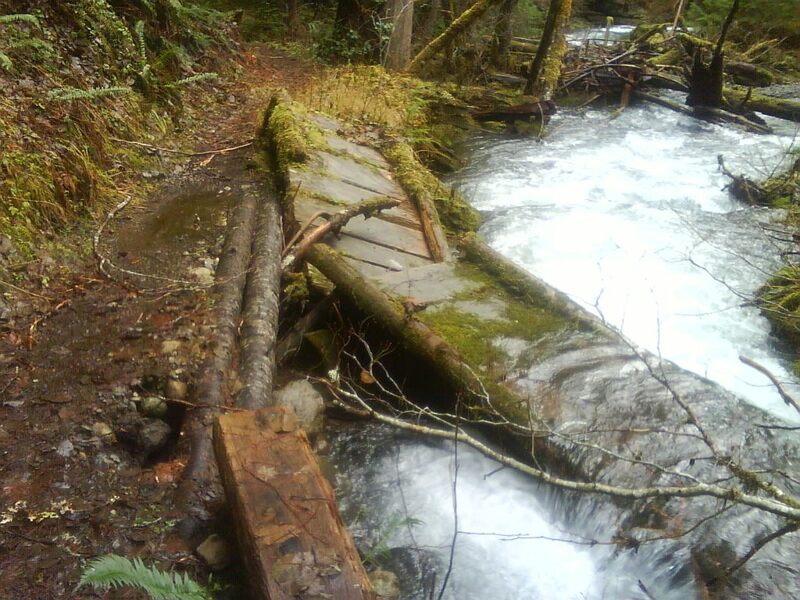 Follow Penny Creek Road to Forest Service Road #27 on the left and continue for 5 miles on alternating gravel and paved road until you see the narrow access road on the left to the trailhead (“Lower Big Quilcene Trail”) via Forest Service Road #2700-080. Park at the end of the road–and if you have a NW Forest Pass, use it. 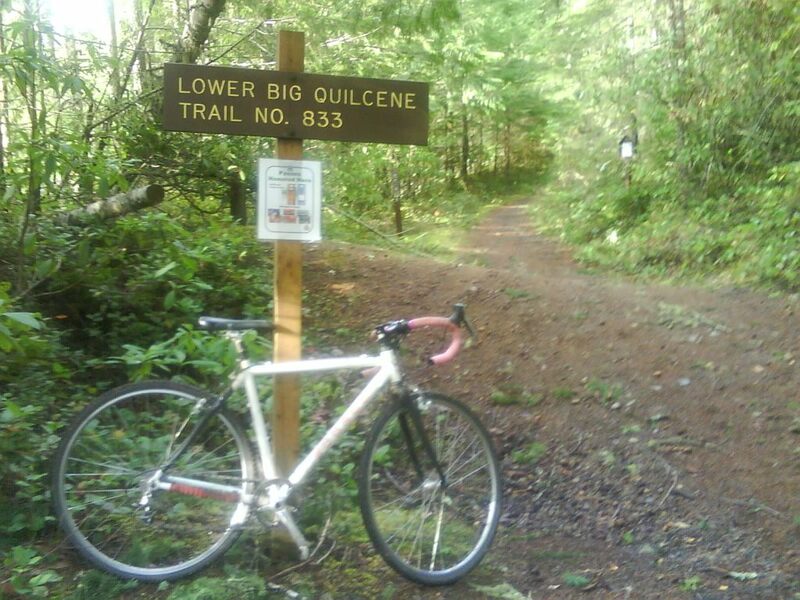 This entry was posted in Biking, Quilcene, Washington (Western) and tagged cyclocross, Lower Big Quilcene Trail, mountain biking, Olympic Peninsula, Voodoo Cycles. Bookmark the permalink. Just came across your blog–very nice pics and welcome to the mountains! Thanks! Actually, I’ve been riding in the mountains for much, much longer than my ‘cross bike (or my blog, for that matter). But it was time that even my ‘cross bike shared in my preferred lifestyle. Thanks for reading!